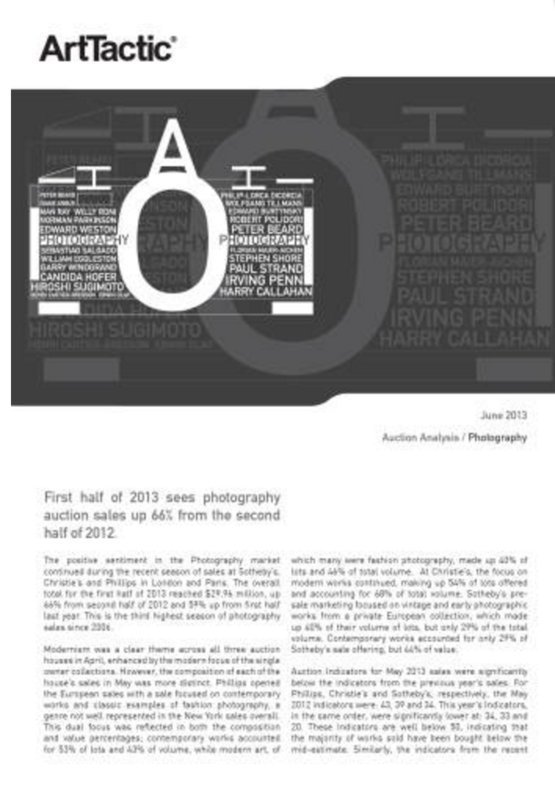 The positive sentiment in the Photography market continued during the recent season of sales at Sotheby’s, Christie’s and Phillips in London and Paris. The overall total for the first half of 2013 reached $29.96 million, up 66% from second half of 2012 and 59% up from first half last year. This is the third highest season of photography sales since 2006. We will send you a FREE copy of the above report if you spend 2 minutes on our client survey feedback – click here.